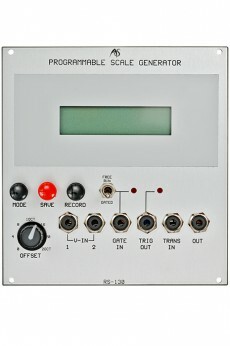 The Programmable Scale Generator exceeds the possibilities of an ordinary quantiser module. 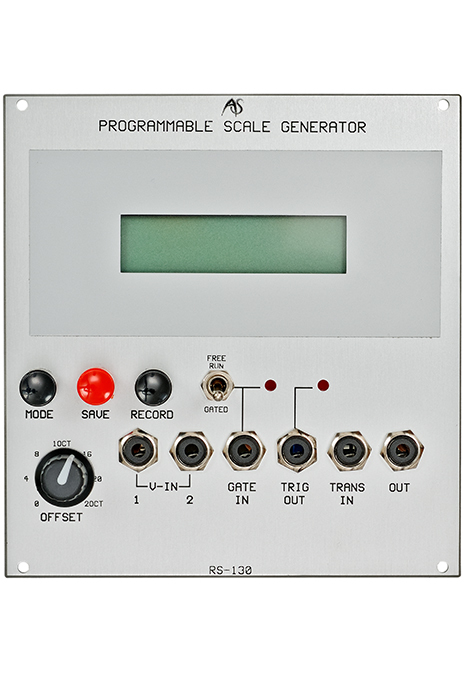 While a quantiser usually is chromatic only and with a little luck it allows major and minor scales, a programmable scale generator like the RS-130 makes it possible to freely program scales beyond the customary semitone scale with all their derivates. Scales with quarter-note or eighth-note intervals are possbile which is important e.g. for indian or oriental music. Two modes determine when quantisation takes place: in "free run" it happens only when input voltage changes. 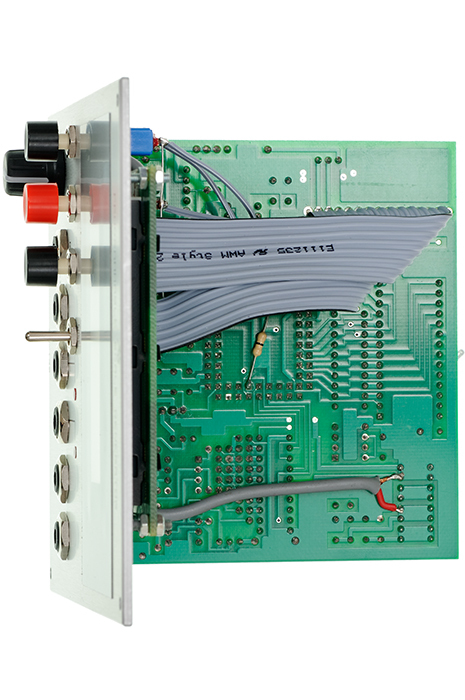 In "gate" mode quantisation happens when the RS-130 receives a gate signal. - user memory mode: creates user programmed scales. 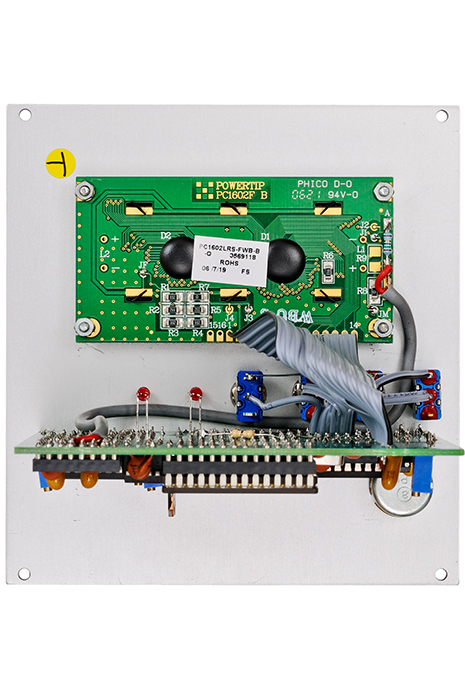 When setting a fixed voltage with the offset control (0-2V, ie. two octaves offset), you apply a fixed transposition to the scale. Any possible scale can be set when you use the transpose CV inputs in addition. At each quantisation process a trigger signal will fired at the trig out which you can use for clocking a sequencer or a launching envelopes.